amino acid based formula or who cannot tolerate intact or hydrolysed protein. 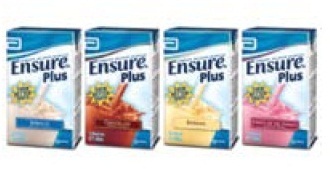 Ensure¨ Liquid is a 1.0kcal/mL nutritionally complete and balanced liquid. 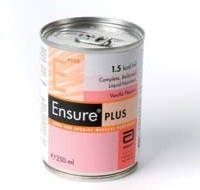 Ensure¨ Plus Can is a 1.5kcal/mL nutritionally complete and balanced sip feed designed for the management of disease related malnutrition. 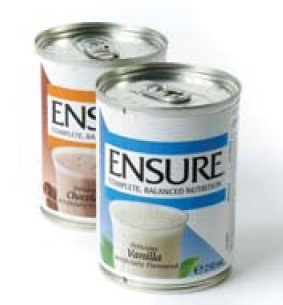 Ensure Plus Crème is a 1.37 kcal/g nutritionally complete, pudding style nutritional supplement for people with, or at risk of developing disease related malnutrition. 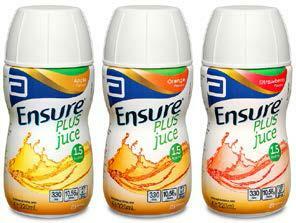 Ensure Plus Juce (Juice) is a 1.5kcal/mL juice-style fat free sip feed for disease related malnutrition. Ensure¨ Plus Tetra is a 1.5kcal/mL nutritionally complete and balanced sip feed for the management of disease related malnutrition. 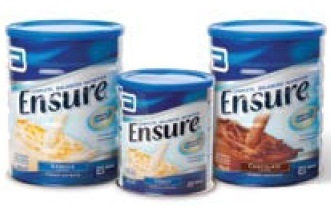 Ensure Powder is a nutritionally complete and balance food for special medical purposes. It is suitable for people who are recovering from illness, injury or surgery, and can be used by people who are at risk of malnutrition, or those with a decreased appetite or involuntary weight loss. 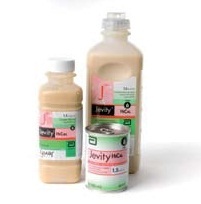 Jevity¨ HiCal is a 1.5kcal/mL nutritionally complete and balanced tube feed enriched with a unique blend of fibre and fructo-oligosaccharides (FOS). Jevity¨ Plus is a 1.2kcal/mL nutritionally complete and balanced tube feed enriched with a unique blend of fibre and fructo-oligosaccharides (FOS). Jevity¨ is a 1.0kcal/mL nutritionally complete and balanced isotonic tube feed enriched with a unique blend of fibre and fructo-oligosaccharides (FOS). 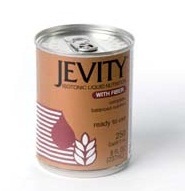 Jevity¨ is a 1.0kcal/mL nutritionally complete and balanced isotonic fibre enriched tube feed. 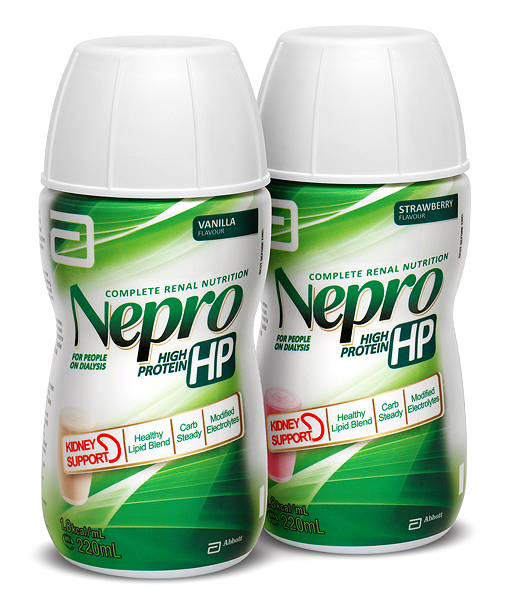 nutrients specifically designed for patients with renal disorders and requiring dialysis. 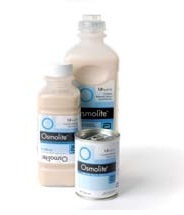 Osmolite¨ is a 1.0kcal/mL complete and balanced isotonic fibre free tube feed. 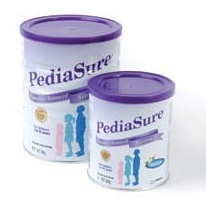 caloric requirements of the child and is suitable for tube feeding. 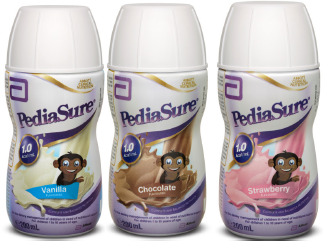 supplement to everyday food and drink. formulated for the management of patients with compromised respiratory function.